Las Delicias is Denver's choice in traditional Mexican food for over 25 years. 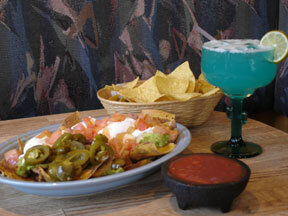 Every item is prepared fresh daily from the original Mexican homestyle recipes. Our wait staff is well versed in the many delicious choices offered, and will be happy to assist you in your selection. We hope you will agree with the local food critics and our thousands of loyal customers that although often imitated, Las Delicias' unique dishes are never duplicated. maintain the intimacy that brought our success. Our entire staff remains committed to providing you with the finest Mexican dining experience anywhere. Bienvenidos, y Muchas Gracias!! !